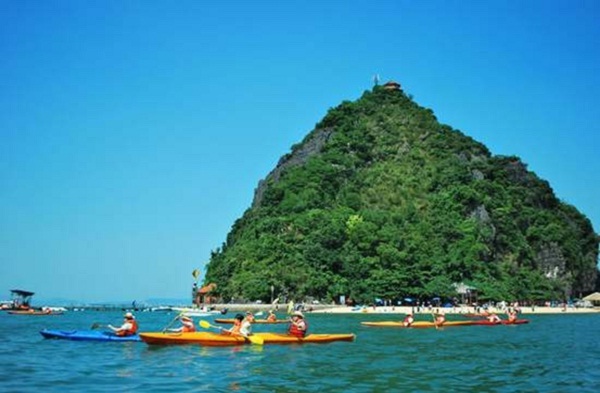 Ti Top Island is located in the heart of Halong Bay, which is only 8 kilometers from the Southeast of Bai Chay Harbor. Being one of top islands in Halong, Ti Top is famous for not only breath taking romantic landscapes but also a heavenly beautiful Ti Top beach which is perfect for any beach activity. 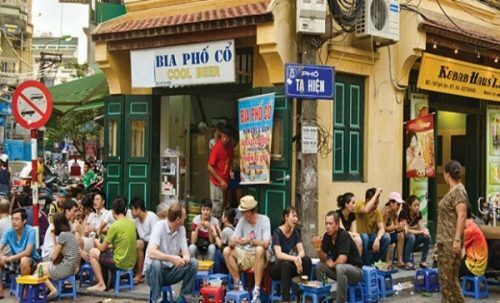 Dau Be Island is located in the south east of Ha Long Bay, about 28 kilometers from Bai Chay Tourist wharf. Dau Be is one of top islands in Halong and is famous for many steep island cliffs like durable bastions preventing surge waves from the east into the gulf. The most attractive spot on Dau Be Island is Ba Ham Lake. The lake comprises of three wide and round pits, linked together by a narrow and meandering cave. Inside the cave, stalactites hang down from the ceiling cave creates strange shapes and sizes. Additionally, on the island, there are many species of plants such as orchids, benjamin figs, banyans and cycads; and many species of animals like yellow-haired monkeys, birds, flying squirrels and bats. Bo Hon is considered as one of the largest island in Halong Bay. It is famous for not only the magnificent cave system but also breathtaking scenery with its series of high peaks, steep cliffs and consecutive mountains. 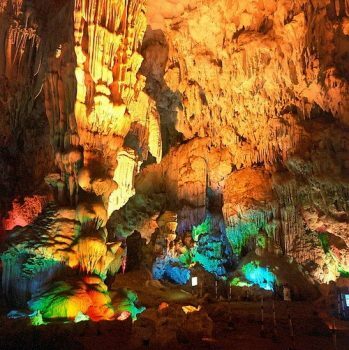 You can visit many beautiful caves on the island such as Luồn, Virgin and Male Cave. Besides, Bo Hon is home to many types of flora and fauna as well as wild animals. There are many species of plants such as Benjamin fig trees, cycads and orchids; and many species of animals such as monkeys, deer and chamois. 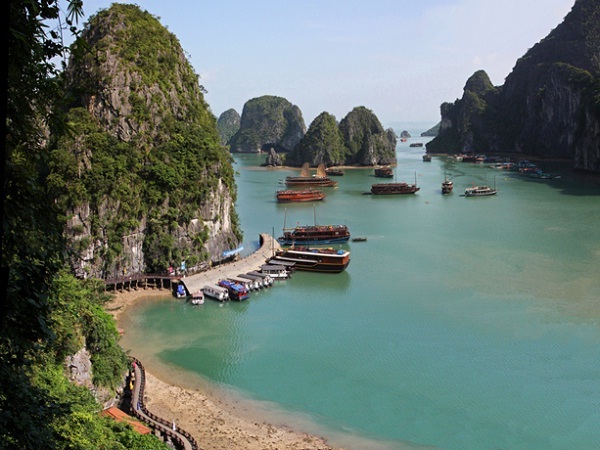 In any travel to Halong Bay, you should not miss chance to visit and explore a large number of islands. Almost these islands offer many splendid views, stunning attractions and many interesting activities. 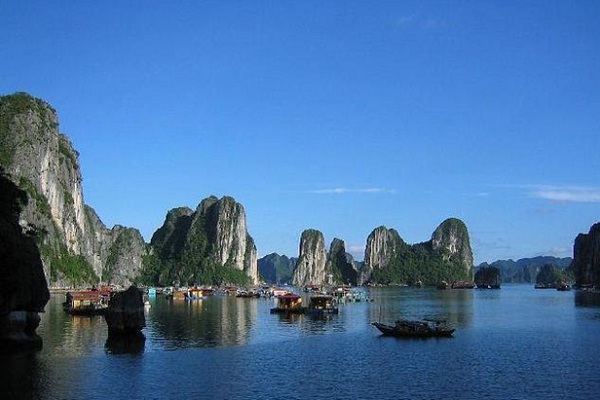 Specially, top islands in Halong Bay above will bring many unforgotten experiences in your trip in Halong Bay.